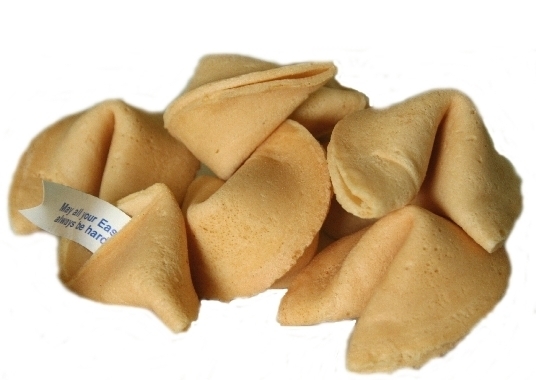 500 Custom Fortune Cookies – one sided message with black ink. Two custom messages. Randomly mixed. Fortune may not exceed 3 lines, with 35 characters per line. You can get additional messages for an up-charge. 500 Custom Fortune Cookies.